Workplace risk assessments are one of the vital elements which are offered by health and safety consultants in the UK. By performing regular risk assessments it is possible to cut down on the amount of injuries which occur in Britain’s work places. The risk assessments can also be used to highlight any areas of great concern, and be used to improve on current procedures and policies that are in place. Another of the important health and safety services offered by companies such as Veritas Consulting is regular training sessions. Through the various courses you are able to ensure that your employees keep health and safety in mind and do not lapse while on the job. Once company which would have greatly benefited from keeping up their employees’ health and safety training is the Bristol firm Pilkington UK Ltd. The famous manufacturers were prosecuted by the Health and Safety Executive after a horrific accident happened at the firms Imperial Park site. Ashley Emes was working alongside fellow colleague Nick Stone at the glass manufacturing site. While trying to move a trolley which was full of glass the trolley collapsed. Both of the workers had glass fall on top of them which then shattered in pieces. 24 year old Ashley Emes suffered a broken leg and severe lacerations in his neck which required 72 stitches. Since the accident Mr Emes has had to have many operations on his knee and he is still unable to return to work. His co-worker Nick Stone, 35, needed 6 months off work to recover from multiple cuts, bruises and damage to his tendon. Considering that Pilkington UK Ltd is one of the most well-known manufacturers in the UK, the Health and Safety Executive were shocked that such a simple thing as training, which is offered by health and safety consultants, was overlooked. The trolley had a capacity to handle 1,500kg but the amount of glass far outweighed this limit. Furthermore the two employees had not even distributed the glass, so it was weighing heavily on one side. The glass manufacturers should have had made sure that their employees were fully aware of how much the trolley was able to take and how much the different loads weighed. In addition to this they should have been given the correct training when it came to physically loading the glass safely onto the trolley. Bristol magistrates’ court heard the guilty plea given by Pilkington UK Ltd for breaching section 2(1) of the Health and Safety at Work Act. They were fined £20,000 for the accident involving Mr Emes and Mr Stone in June 2010. They were also ordered to pay £5,646 in costs. This case goes to show the importance of training offered by health and safety consultants. 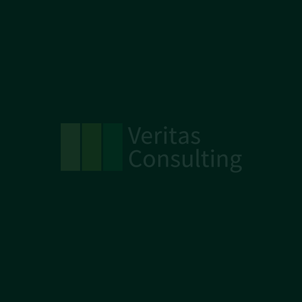 Veritas Consultants has a wide variety of courses available with various starting dates. Call 0800 1488 677 to find out more about the health and safety services offered by the experts.